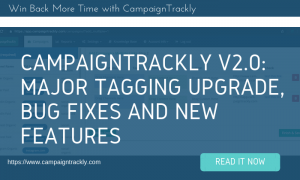 We are pleased to announce CampaignTrackly’s latest new features, including QR code auto-generation, dedicated folders for your campaigns, and Tag settings that will help our customers achieve consistent, error-free tagging. 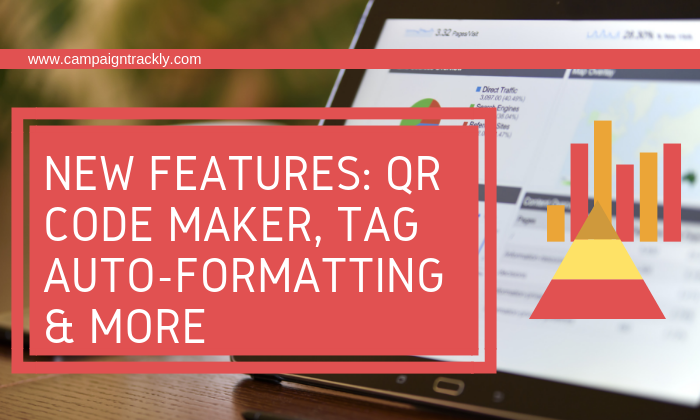 How QR codes are making a difference – with this new addition, you will be able to convert any tagged link to a QR code and use across print and mobile. And the best part? You don’t need to do anything extra – just click on the newly added QR icon and download your QR code – it’s that easy! This new feature will make it super easy for your separate your campaigns and view them by theme/department/category. Just add a campaign category and watch it become a folder in seconds. Want to attribute an existing campaign to a category? Go to the Campaign dashboard and click the “Select Campaign Category” icon – it’s that easy! 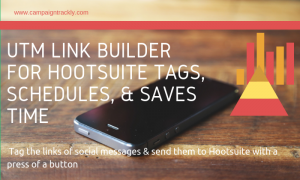 This new feature will make it super easy for to follow consistent tagging formatting – lower case or Sentence case, underscores or dashes. 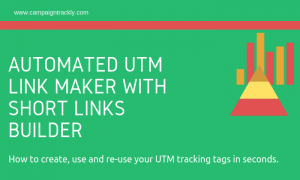 Most importantly, you don’t need to worry about accidentally leaving empty spaces in your links when you use multi-word tags, which might cause your URLs to stop working. Just go to our new Tag Settings page under Settings and standardize tagging with two simple clicks of your mouse. 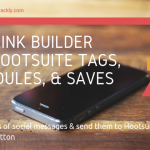 Need more features or functionalities?